They test a person’s ability to focus and coordinate the eyes and see depth and colours accurately. They are trained to recognise, treat and, if necessary, manage diseases of the eye and adnexa. They examine the internal and external structure of your eyes to detect diseases like glaucoma, macular degeneration and cataracts. They can prescribe and fit glasses, contact lenses and low vision aids. They can also prescribe eye exercises, undertake vision therapy, and, if trained to do so like James is, prescribe medications to treat eye diseases. Optometrists study at university for at least three years and must participate in a period of assessed clinical training in practice, before being deemed to have the knowledge and skills needed to be registered. Once registered, they have the opportunity to take further qualifications and develop their interests in specialist areas of practice. 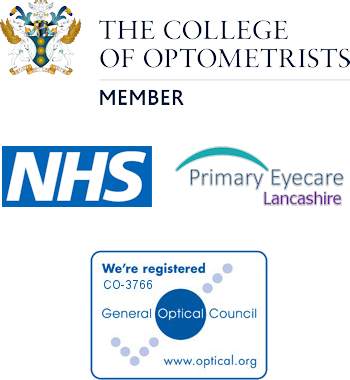 All optometrists practising in the UK must be registered with the General Optical Council, the profession’s regulatory body. When choosing an optometrist, look for the letters FCOptom or MCOptom after their name. It means that the optometrist is a fellow or member of the College and adheres to high standards of clinical practice. Any person, or indeed website, is legally allowed to ‘sell’ a pair of glasses to an adult. However dispensing opticians are formally trained optical professionals who have undergone higher diploma level or foundation degree level training. Working from the prescription written by an optometrist, they are trained to give advice, fit, adjust and repair glasses and can do so, unlike anyone unqualified, for any patient of any age or for any prescription complexity. They, like optometrists, are registered with the General Optical Council. Dispensing opticians don’t test eyes. A dispensing optician can give you advice on types of lenses and help you to choose a suitable frame and to ensure its fit. They also can advise patients on how to wear and care for their spectacles appropriately . Dispensing opticians can undertake additional qualifications enabling them to specialise further and potentially prescribe low vision aids or contact lenses. All of our dispensing staff are either fully qualified dispensing opticians or on the formal dispensing optician training course. The prescribing and dispensing of spectacles are closely linked – it is best to have your spectacles dispensed where you have your eyes examined. It is often more difficult to resolve any problems you may have with your spectacles when prescribing and supply are separated. Following our college guidelines; we always recommend that you have your glasses dispensed where you have your eye test performed by an optometrist, wherever that may be.